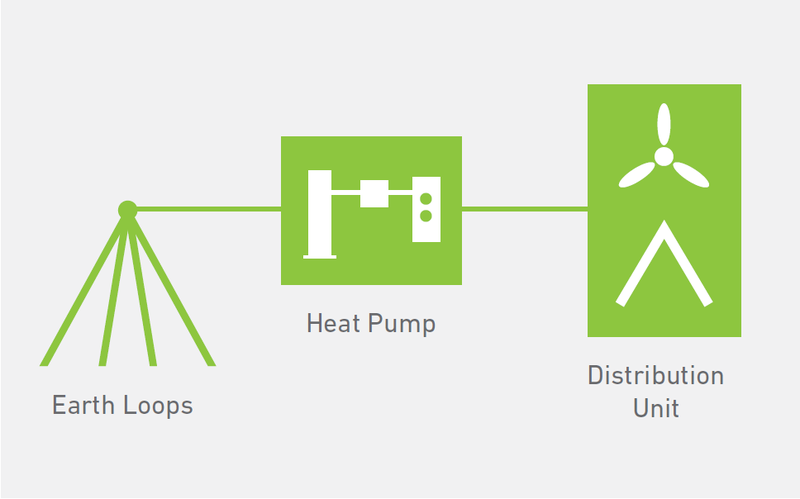 Ground Sourced Heat Pumps From Our Product Range. 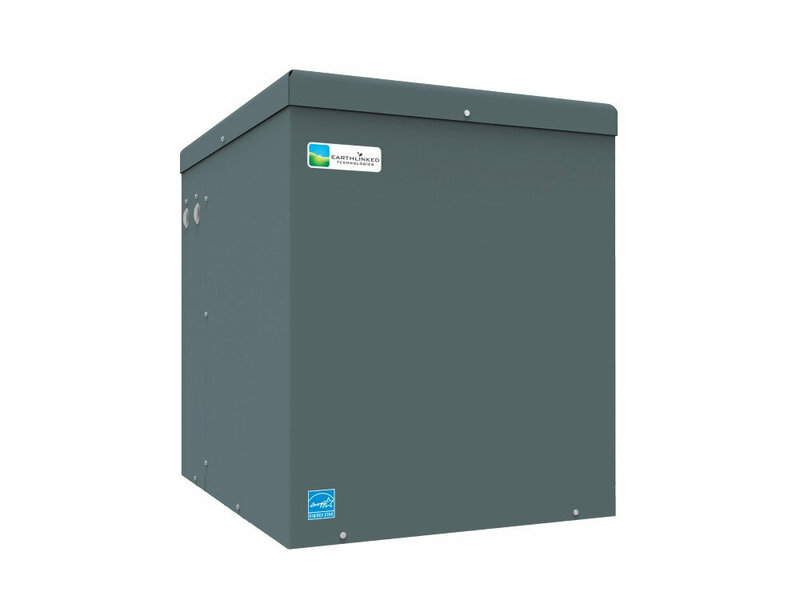 Ground source Heat Pumps (GSHP) sometimes referred to as Geothermal heat pumps (GHPs) have been in use since the late 1940s. They use the constant temperature of the earth to extract heat from the ground by circulating fluid through buried pipes in horizontal trenches or vertical boreholes. They concentrate heat by using a vapour compression cycle, and they transfer heat into buildings to provide heating and hot water without burning fossil fuels. EarthLinked Geothermal Renewable Energy Systems are revolutionizing heating and cooling systems for your home. As a more efficient and environmentally friendly option than traditional furnaces and air conditioners, EarthLinked provides 100% of your home’s heating and cooling needs, with savings of up to 80% and consistent comfort that is unparalleled in the industry. EarthLinked Technologies, Inc. is a research and technology company committed to simple, efficient and effective ways to make life easier for people and the planet. We are committed to developing innovative and state-of-the-art technology. In doing so, we have created better products with superior operations that will save you money, and ultimately provide you with a more comfortable home. EarthLinked Geothermal Renewable Energy Systems are operating in a variety of applications and climates, saving energy and the environment on a global scale. 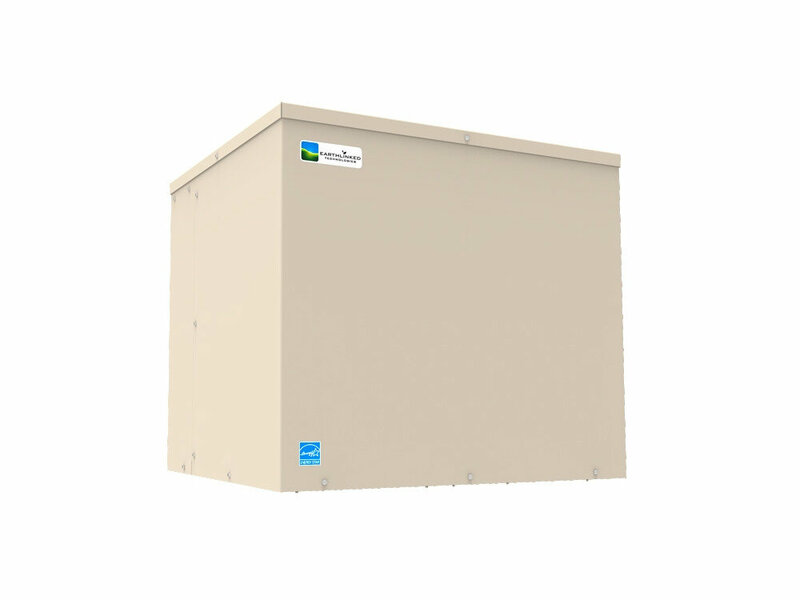 Functional on any property, regardless of its size or age, EarthLinked Geothermal Renewable Energy Systems continue to be the leading industry solution for environmentally conscious homeowners. EarthLinked Geothermal Renewable Energy Systems work seamlessly with the stored solar energy in the earth. By using small, highly conductive copper earth loops and environmentally friendly refrigerant, only a small yard space is needed to begin the heating and cooling process. In the winter, the EarthLinked heat pump intensifies the warm thermal energy from the earth and converts it into heat for your home. In the summer months, the process is reversed and the unwanted heat from your home is stored back in the earth. Our patented technology controls this process more simply and efficiently than any other heating and cooling system available. Conditioned air or water is sent to the distribution unit which delivers comfort to your home’s radiant floor or forced air ductwork.